What appears to be the next installment of the Collectors Pack, under a slightly different name, has been announced for release in May 18th, 2019. As always, it will include cards imported from the anime and the manga, and more info will be revealed in the future. In addition, Duelist Card Protectors (sleeves) depicting Yuya Sakaki from Yu-Gi-Oh! ARC-V will go on sale in the same day. My favorite pack of the year! Under a new-ish name, but still welcomed! So much I want. So little space. I would want them to finish Leon's Fairy Tales here, giving them their second wave (ala Timelords). Likewise, I want them to finish the Bandit Warrior Academy kids' Star Warrior cards, so they can be made into a fuller Deck by themselves. For what else? VRAINS has so much it could contribute, due to how its Anime content has been neglected. Really, they could fill this entire pack and it would be rather justified. That's how bad their backlog is. I'd love some of Arc-V's Manga stuff, here, too. More Arc-V in general would be appreciated by me. Hope the title alludes to Battlewasps, personally! On the whole, though, I'll be happy with just about anything that could be here being here. I do hope they finish what thet began with Fairy Tales and the Star Warrior Fusions, but otherwise, go at it! What are everyone else's hopes and dreams for this years Collection? Also getting Dice Dungeon for Duke Devlin's deck would be nice. As well as the missing Time Angel. Zexal still has 4 game original numbers to spew out before it dips into the Numuron deck. So Numerons probably won't be until 2020. I would actually like to see the 3 AG Hound fusions, a reprint of AG Hound and the 2 AG fusion spells. It's just annoying me Obelisk Force was a thing at events but they couldn't play with staple Obelisk Force cards. Overall I'd just like the set size to go up from 45 to 50 or more preferably 60 cards. Last edited by ScionStorm; 15th January 2019 at 06:03 PM. 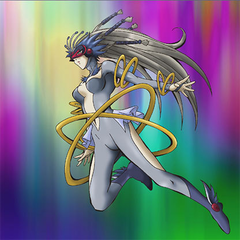 Aside from getting 4 more "Numbers" and the rest of the Fairy Tale cards, and maybe even the rest of the Star Warrior Fusions used by the other guys from that school, I'm hoping they finally take "Performages" of the black list. It'd take 3 sets, minimum, to get the remaining backlog but they need to start at some point. Yeah, I wonder how long of time needs to pass before Performages can be un-nonpersoned? Would be nice if we can start getting his stuff to make Dennis' own Deck. Would be real nice. I am curious as to what the GX contribution could be. Like, other than something Destiny HERO or Neo-Space related (what's left to get from them from there, Doctor D? Most of the stuff feels like missing Arc-V support), they could some of anywhere.